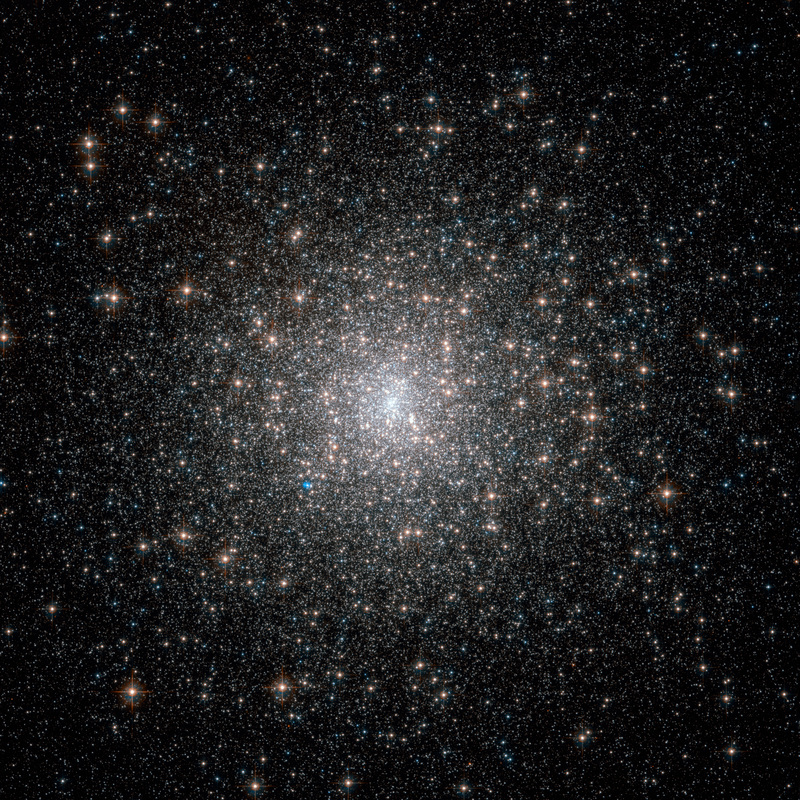 Explanation: Stars, like bees, swarm around the center of bright globular cluster M15. This ball of over 100,000 stars is a relic from the early years of our Galaxy, and continues to orbit the Milky Way's center. 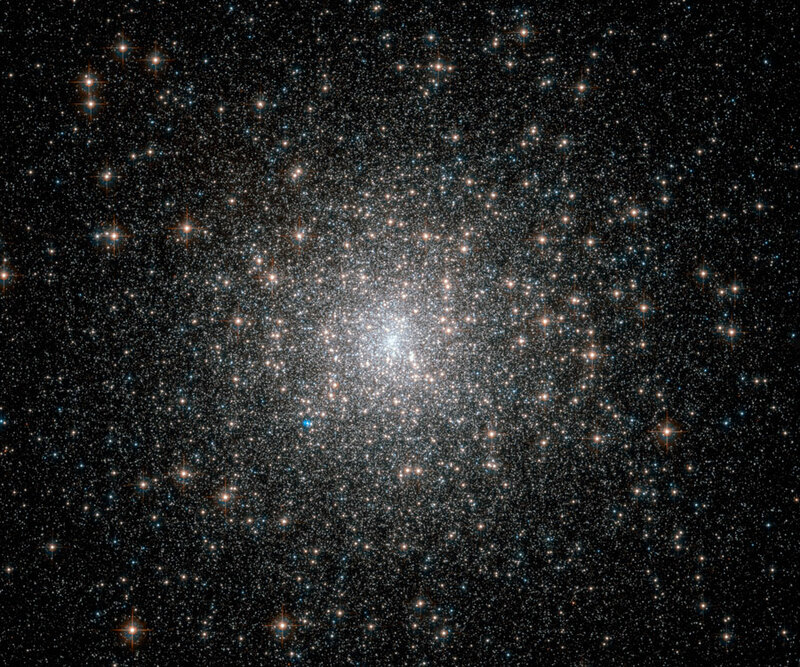 M15, one of about 150 globular clusters remaining, is noted for being easily visible with only binoculars, having at its center one of the densest concentrations of stars known, and containing a high abundance of variable stars and pulsars. This sharp image, taken by the Earth-orbiting Hubble Space Telescope, spans about 120 light years. It shows the dramatic increase in density of stars toward the cluster's center. M15 lies about 35,000 light years away toward the constellation of the Winged Horse (Pegasus). Recent evidence indicates that a massive black hole might reside as the center of M15.